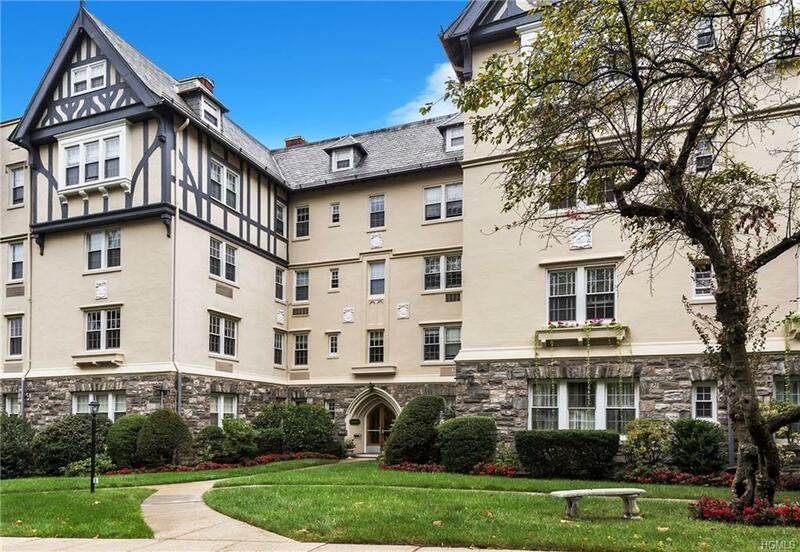 Built as one of the largest original village apartments in the 1920's, this stunning example of beautiful architecture & design works as well today as then. You will love its soaring ceilings, wonderful original moldings, wood floors, expansive room sizes & incredible exposures. The gallery foyer opens to a magnificent living room with a wood burning fireplace & a wall of south facing windows. The formal dining room opens to a lovely sunroom & handsome custom kitchen with top of the line appliances, cabinetry & finishes. There are 3 elegant oversized bedrooms, 2 renovated baths, a private office with built-ins, fabulous closets & a maid's room housing the laundry facilities. Westbourne is one of the finest coops in Bronxville. Its walk to all location on Stoneleigh Plaza offers great on-site parking for residents. Its excellent maintenance which includes taxes, heat and hot water, premier schools & house-sized proportions afford the luxury of having the best of everything !! Listing courtesy of Anne Kelty of Houlihan Lawrence Inc..